So I have two big dogs, hard wood floors, and a deficit in my checking account because of all the USDs I have spent on dog beds that were hideous to look at, couldn't fit in the washing machine, and ultimately got left outside in the rain until they were tossed (I am being brutally honest right now). 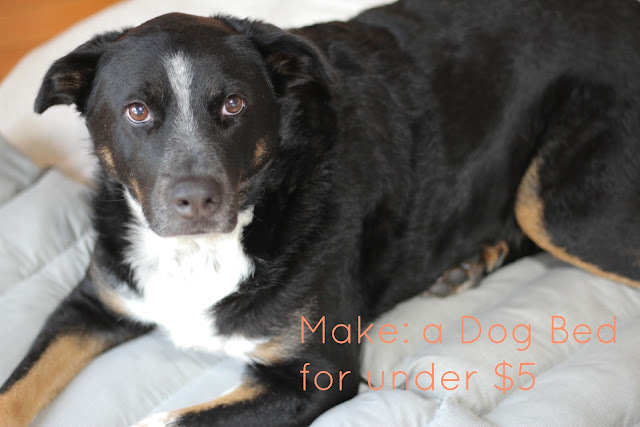 Naturally I have thought about making a bed for my precious pooches before, but until recently it didn't dawn on me how easy and affordable it could be. First thing to combat was how difficult it was to find a dog bed that went with any sort of lovely home decor, and secondly that didn't break the bank. I figured, as I usually do when I can't find exactly what I want at the price I want: I can make that! So, I set out on my quest; I wanted something that would be complementary to any room in the house, a nice washable fabric and a pattern that wouldn't show dirt/wear and tear. 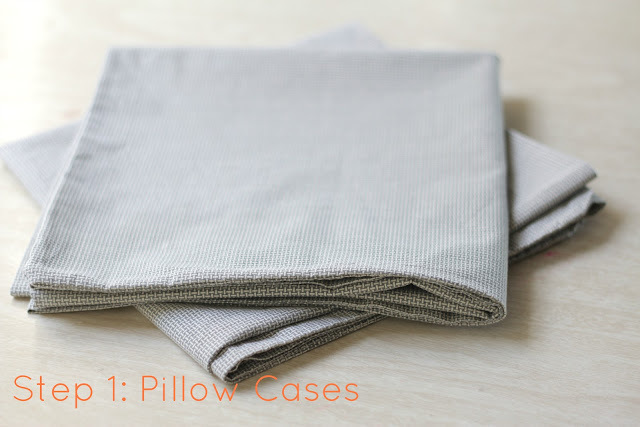 How lucky for me that the exact item I was looking for was at my local thrift shop just a block away; I found a set of king sized pillow cases that were just the ticket, and $1. 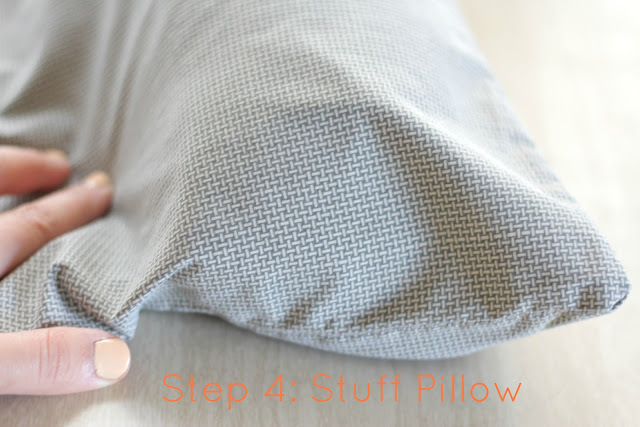 Now I am assuming that everyone is like me and has some kind of flat pillows that you should replace but hate to throw them away. If I'm correct then this project will not only help your pet sleep better but it'll force you to get new pillows... then you'll sleep better too. 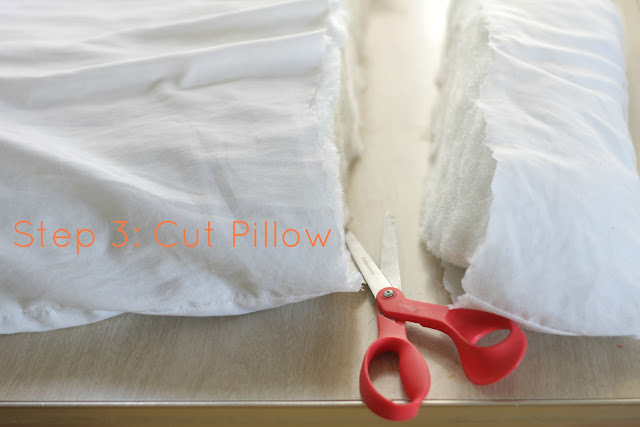 Next cut the pillow in strips, because we are going to use it to stuff our little bed mats. Luckily, my Olive B is never far from my side, and loves to lay on things. I'd say it's a pass. Wait, but what is this...? Oh yeah it's her extra toes, and the new flat top tail hair cut Catherine gave her when she visited last week. Don't worry though, it's not a mean thing, it's just a thing that happens to her favorite pets. I bet whenever Peanut is good she gets a hair cut too... so probably never. Above is a little story board of why Lucca didn't make it in to any of the above pictures. I tried Luc, but you just couldn't practice your patience. So that was my DIY dog pillow; I only spent $1, it looks cute on the floor, it's easily stored and machine washable (cat bed in a box version tutorial coming soon?). I thought there was reason why B and I have been prolonging buying Nanna a new bed. I was waiting for you to show how to make super cheap ones. Olives flat top looks pretty banging. Thanks, I'll tell her you dig the do. You should make a thousand of these and cover the sun room floor in them. Then we could lay on them too. Just saying, it would be awesome. Aw, that's so clever and it looks great too! 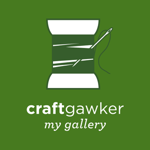 I've got this linked to my pets & home décor post too today, well done! Oh thank you Heather! Thank you a million for the link! 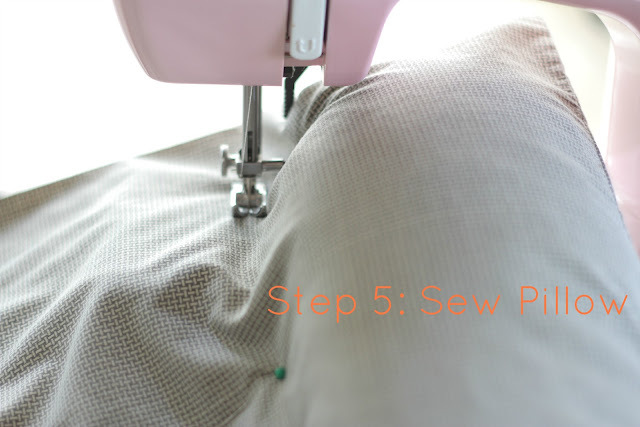 If you don't want to sew, I have an easier way of making dog beds. 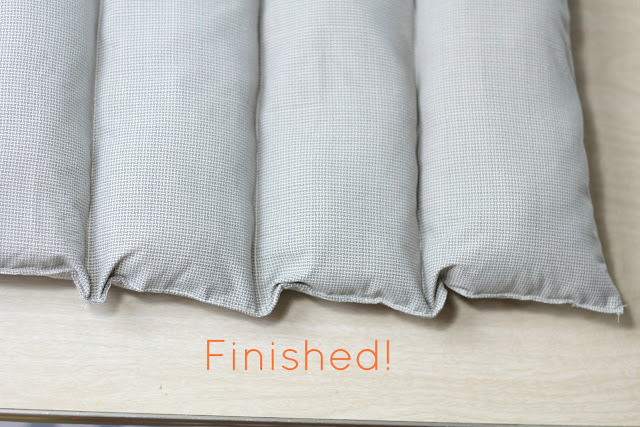 Buy queen/king zippered pillow case protectors in 100% cotton or blend. At local thrift store or rummage sales, pick up small zippered novelty sleeping bags or small quilts/comforters (usually can find for a few bucks). 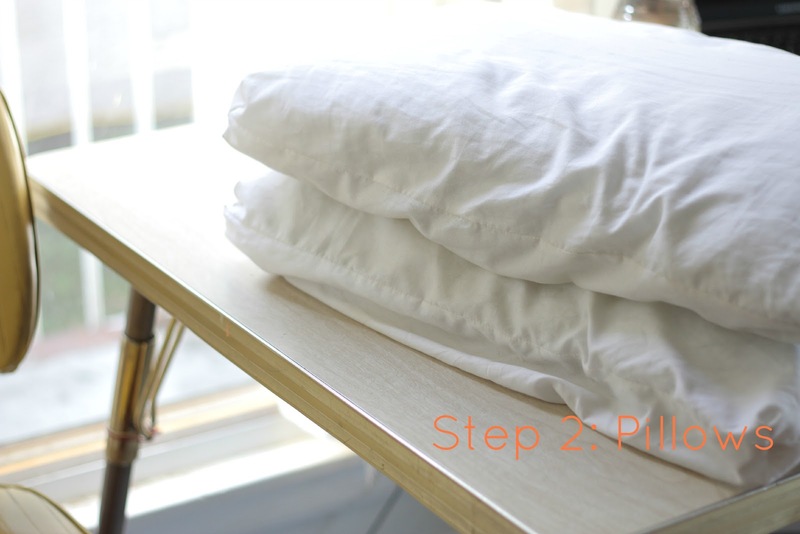 Fold comforter in half and in half again, stuff in zippered pillow case protector which can then be placed inside any pillow case of your choice to match your décor, if desired. Easy to change, easy to take apart and wash and cheap to replace if you have chewers, like I have. I realize this is not for everybody, but this works extremely well for me. Also some shelters/rescues use this idea. I always found worth content here,Would like to visit again.Keep sharing interesting articles like this..
Hey this is great. Thanks a lot for sharing it. I always buy dog beds online. I always thought they are durable and affordable, I will definitely try this one. As we consider our pet is member of your family, we always care about our puppy. 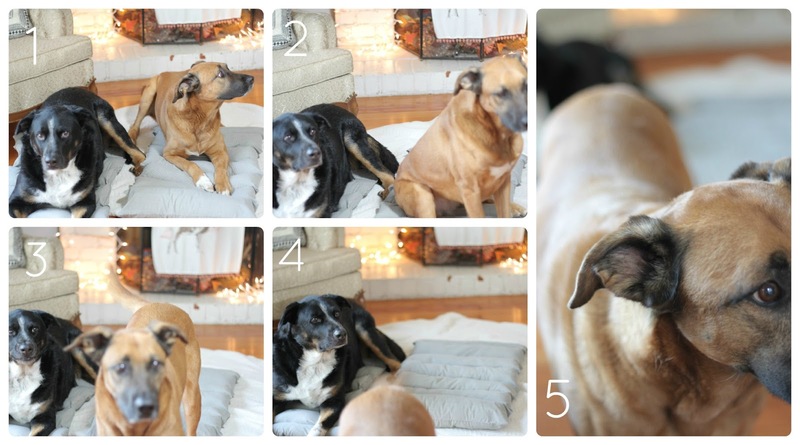 We choose dog beds that gives comfortable sleep and warm in clod sessions. dog collars I found this is an informative and interesting post so i think so it is very useful and knowledgeable. I would like to thank you for the efforts you have made in writing this article.